The sweat stains are hard to completely remove the clothes, as you might know. 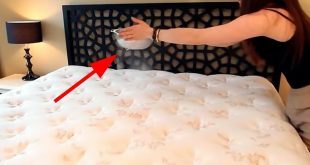 Well, unlike clothes that you could easily put them through a washing machine cycle, cleaning your mattress just make things harder. However, it is not the most difficult task in the world because, with a few instructions and easy DIY solutions, you can say bye-bye to sweat stains. Keep reading and follow this guide closely to successfully get rid of sweat stains. Thus, make sure you combine equal parts of salt, baking soda and water together in a bowl. You should use as much as you need, if the problem is more serious, use the right quantities. Hence, strip the mattress of all bedding to have it all free for cleaning. 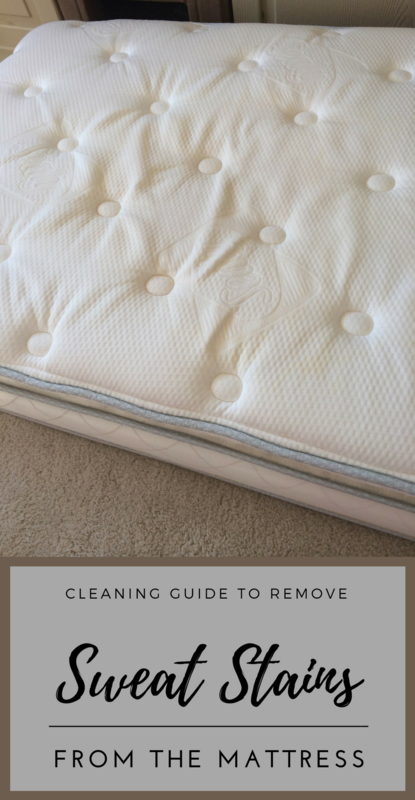 Then, use the vacuum to clean all areas of the mattress, including the sides and bottom. That way, the solution will apply and work better. 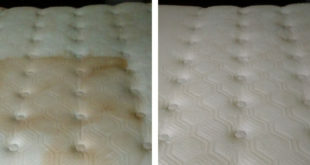 To properly clean the sweat stains from the mattress, you should never rub it or scrub it off. 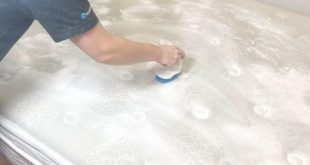 Simply make sure you dab a microfiber cloth into the baking soda paste solution just to pick up enough mixture. Then, gently dab onto the sweat stains making sure you cover them completely with the paste. Next, allow the paste to sit on the stains for about an hour. If some of the sweat stains look more old and heavy, you could mix a 16-ounce of peroxide, a teaspoon of liquid dish soap and a tablespoon of baking soda in a spray bottle. Spray generously on the sweat stains and coat them as much as possible, leaving the solution on them until it dries. Whether you chose the baking solution or the hydrogen peroxide solution, your cleaning work is basically done. 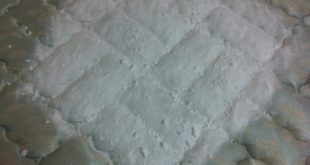 You don’t need to rinse the mattress, simply vacuum again to pick up any debris there might be from the mixtures. Then, flip your mattress and repeat the same thing if it is necessary.